Normal?. . 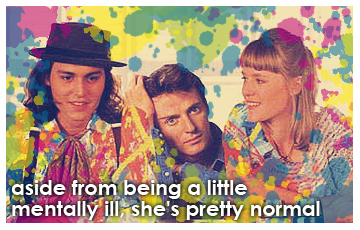 Wallpaper and background images in the Benny and Joon club tagged: benny and joon sam johnny depp mary stuart masterson aidan quinn 1993 gollumstein photobucket. This Benny and Joon fan art contains anime, komik, manga, kartun, and buku komik.